Combat Commander’s Sub Commander Boot Knife has made its mark as the ultimate in concealed, compact self-defense! Now, Combat Commander presents its even more streamlined version – the Sub Commander Next Generation Boot Knife. The sharp 3 1/2” 3Cr13 black coated, stainless steel blade is double edged with a complete blood groove and partial serrations. A slim, impact resistant TPR rubber handle with ABS plastic insets is textured for a slip-proof grip and features a raised piece that fits a notch in the sheath. A brass lanyard hole completes the overall look and utility. 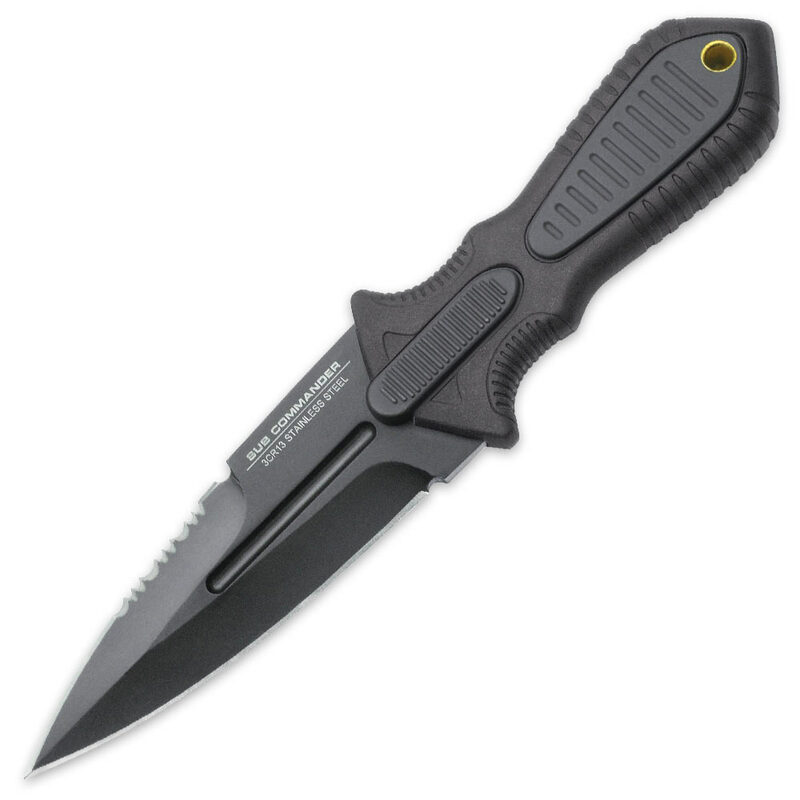 The boot knife snaps snugly into its injection molded polypropylene sheath.